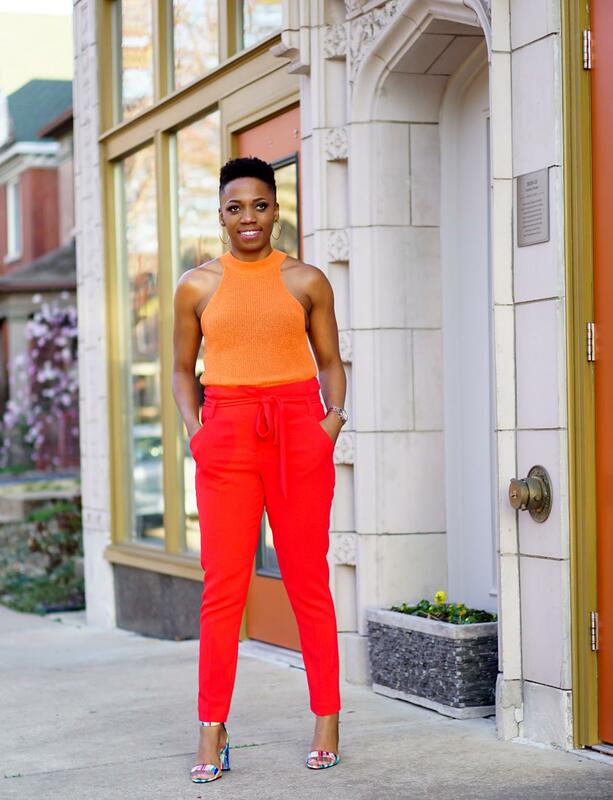 Fashion is crushing on orange in 2019. Are you digging it? I sure am. 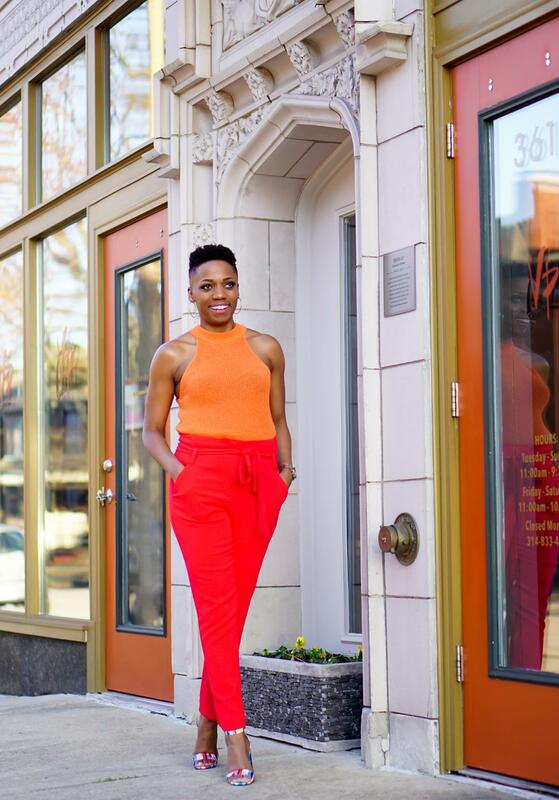 Orange is one of my favorite colors to wear, but it can be tricky to pull off. 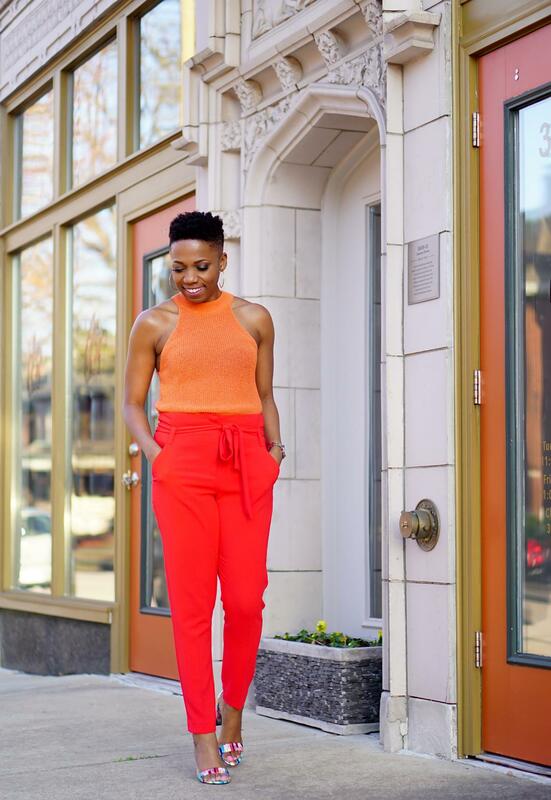 Want an easy way to style your favorite orange hues? Rock them together! My orange halter top (see new version here) is an oldie from Mango (see it worn before here). 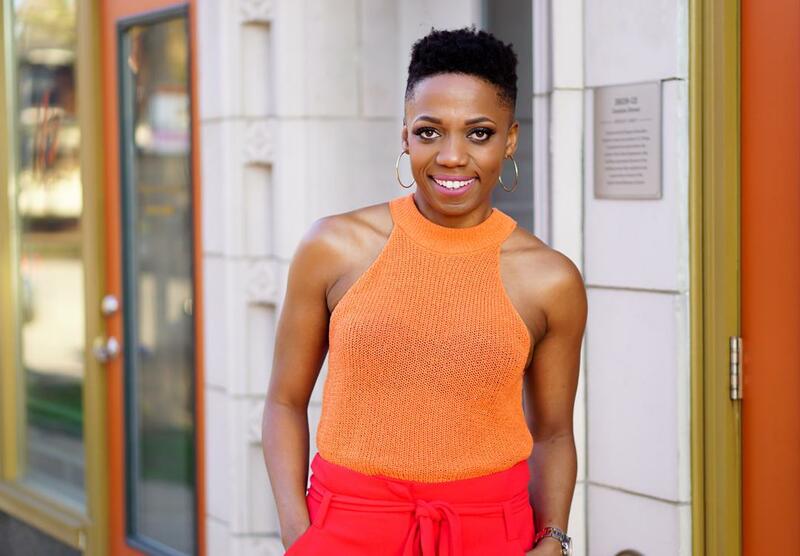 The top has a flattering silhouette and a beautiful soft shade of orange, making it easy to wear. 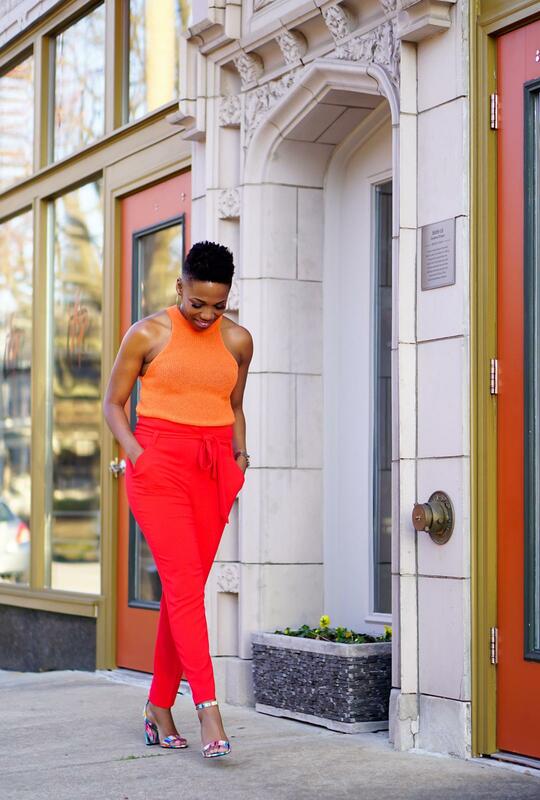 The softer shade of orange makes it easy to pair with my poppy red (rich orange shade) pants as well. Wardrobe filled with rich hues in the same color family? Unlock unlimited styling opportunities by pairing them together. Of course, as I mentioned in This Must-Have Shoes Will Complete All Your Colorful Outfits, my watercolor sandals go with so much. They’re the perfect finishing touch to my outfit of orange hues. Interested in getting a pair? Use code PSYCHE (until April 30) to get 10% off. Great look! Love the colors together!